Your collection of passwords has a lot in common with your keys, believe it or not. There are a few ultra-important ones, a few that open less important sites, and a few that are still hanging around, even though you’re not sure what they open. And just like your key chain, you’d never want to let your collection of passwords fall into the wrong hands. Hacking is a real issue, and it impacts people all around the globe. Strong passwords are one of the key elements of online security for your Calgary home and business. If you’re like most people, then you probably have a few passwords in need of an update. It’s an easy thing to put off, especially if you’re already juggling a bunch of other passwords for your online accounts. Well, today’s the day. Follow our tips for best password usage, and you’ll be well on your way to securing your online identity from the prying eyes of hackers. Picking passwords is hard. You need to be able to remember it, but it also has to be unique enough to beat cracking tools and old-fashioned hackers. Oh, and it needs to be different from the passwords you use for other sites. It’s a lot to remember, but there are some tricks that will help you get the job done. Remember, just about anything is better than using “password” or “admin” as an online password. There are a few other common password combinations that should go on your “do not use” list. “Asdfgh” or “zxcvb” may seem like random, unique passwords, but they’re really just sets of keys that happen to fall next to one another. Hackers are onto that trick. You’ll also want to avoid using anything that a hacker could easily deduce from your public profiles online. Names of family members or pets, birth years, and phone numbers all fall into this category. Avoid using common words that can easily be found in a dictionary. Password cracking tools are advanced, and can run through many combinations of common words in a matter of seconds. 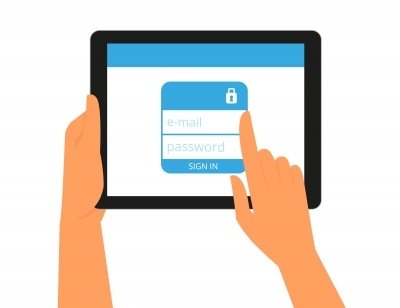 Don’t use the same password for multiple sites, especially if those sites store sensitive personal information. Now that we’ve gotten the “don’ts” out of the way, it’s time to look at what goes into picking a strong password. Picking a strong password should always take priority over picking one that’s easy to remember. If you have to, you can always keep a master list of password clues on paper to jog your memory, as long as you store it somewhere (very) secure. When creating a password, use a mix of numbers, upper-case and lower-case letters, and symbols. The more complex, the better. Compound words and phrases tend to make the best passwords. Choose combinations of words that mean something to you, but not others. Mix in letters, symbols, and numbers to add strength. For a really strong password, consider combining multiple words into one. Pick a few words with letters you can remember, then jumble the letters together to create something unique. When capitalizing letters, try to pick randomly. Capitalizing the first word of a phrase, for example, doesn’t really add much strength to your password. If you have trouble remembering complex passwords, consider a service like 1password to store your passwords securely in the cloud. Passwords are an important part of online security, but it’s only one part of the security whole for your Calgary home or business. You’ll also want quality anti-virus software, secure backup for your key files, and an understanding of the most common types of phishing scams. Still, strong passwords are a great place to start when trying to protect your identity in the digital world. The process may be tedious at times, but securing your sensitive information is more than worth the effort. Ready to grow your Calgary business with online marketing that makes a real impact? The team at Emphasize Design is here to help with the latest solutions for all of your web design and online marketing needs.